The Changing Lives Martial Arts Princess Anne facility offers programs for Karate for Kids, Martial Arts for Adults and Krav Maga. 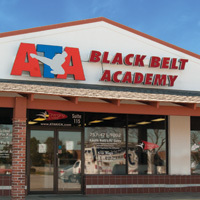 This location is one of the oldest martial arts facilities in Hampton Roads and has been serving the community since 1991. We have been serving our local community, Military Members, Firemen, Law Enforcement Officer, City Employees and civilians with Karate For Kids, Martial Arts for adults and Krav Maga for many years as a city partner in education. As the only Krav Maga Worldwide certified training facility located in the Greater Hampton Roads area we are proud to serve our community. If you are looking for a martial arts or krav maga training location with plenty of open space and training equipment, conveniently located with great parking and easy access, we know anyone of our locations will be just right for you! CLMA wants you and your family to enjoy the wonderful shopping centers we are located in at any one of our four locations. Changing Lives Martial Arts currently has students from the following areas; Virginia Beach, Chesapeake, Norfolk, Newport News, Hampton, Creeds, Pungo, Red Mill, Bellamy, Indian River, Lynnhaven, Little Neck, Kings Grant, Kempsville Green, Fairfield, Pembroke, Great Neck, Kempsville, Hilltop, Little Creek, Green Run and Even as far as Glouster and Richmond. Please feel FREE to register for our special offer or call us at 757-471-9002.